Brooklyn Nine-Nine is a comedy show about cops, but it is so much more than that. It follows Jake Peralta and his colleagues through their lives working in Brooklyn’s 99th precinct, referred to as the Nine-Nine by those who work there. Peralta is an offbeat, immature, but highly effective detective who solves cases in unexpected ways. His new Captain, Raymond Holt, is incredibly serious and by the book. Some of his colleagues include Amy Santiago, an uptight Type A personality who loves to follow the rules, Charles Boyle, a strange, hard working detective who idolizes Peralta, Rosa Diaz, known for her aggression, Terry Jeffords, known for his muscles and being in touch with a wide range of emotions, and Hitchcock and Scully, who are known mostly for being lazy and incompetent. The characters are all quite strange and a bit over the top, and the viewer ends up loving them all over time. The show manages to be progressive and diverse without seeming like it’s trying too hard. Its humor can be witty and can also often be silly and quirky. If you finished watching Brooklyn Nine-Nine and need to find something else to bring joy and laughter to your day, there is nothing that can perfectly replace it, but here are some shows like Brooklyn Nine-Nine that you will enjoy watching. Good Girls follows a group of suburban moms who get in over their heads after deciding to commit a robbery to cope with their financial problems. The three mothers decide to rob a supermarket, but unwittingly end up tangled in something even bigger than the robbery they committed. They then try to deal with increasing problems and pressures, while trying to keep their secret safe, and their story just gets more and more complicated. 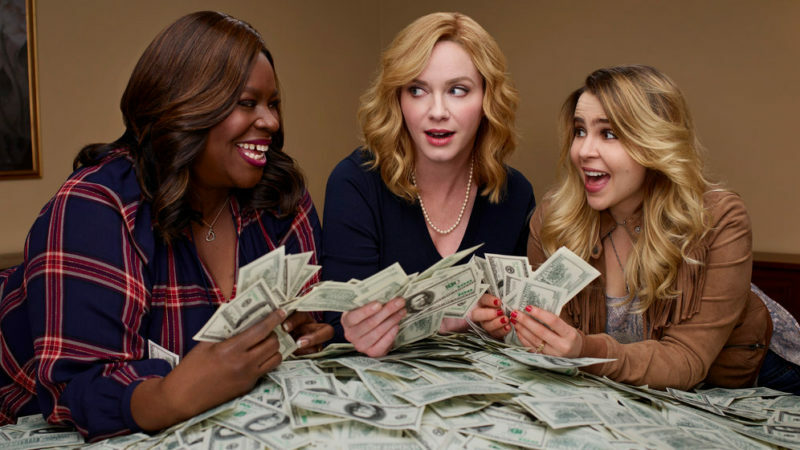 Like Brooklyn Nine-Nine, Good Girls is a show about crime, but with a humorous perspective. Veronica Mars is not a comedy, but it is witty and fun despite the dark tone of the series. Veronica Mars is a high school student whose father is a private investigator and former sheriff. She uses her knowledge of his business to do some private investigating independently, often for other students. The murder of Veronica’s best friend turns her life upside down, and starts her investigation into whether the right killer was caught or not. Veronica and her friends and family have a sarcastic humor that offsets the dark plot of the show, and has viewers chuckling throughout the series. Brooklyn Nine-Nine and Veronica Mars may fall into different genres, but with the crime/investigation themes, and clever humor in both shows, they have more in common than you might think. 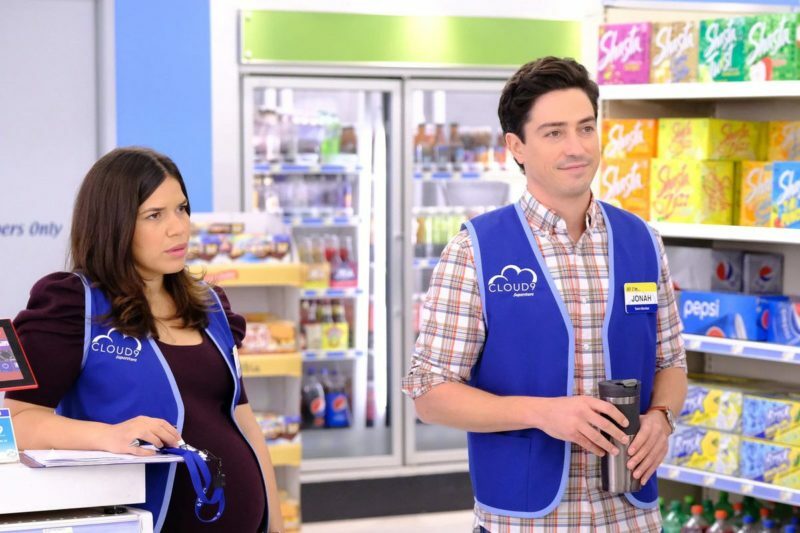 Superstore is a comedy about a group of employees who work at Cloud 9, a (fictional) big-box store in St. Louis, Missouri. Two employees are hired in the pilot, and along with the two newbies, we learn more about the staff of the Cloud 9. The show follows Amy Dubanowski, the floor supervisor, and her staff as they try to get through the days working in a big-box store with an eclectic mix of people as colleagues and customers. Viewers are pulled into the story by the strange characters and humor and by the main characters, whose lives you want to find out more about after the first episode. Like Brooklyn Nine-Nine, Superstore is funny and quirky, with some over the top characters lots of lighthearted humor. Since Michael Schur created Brooklyn Nine-Nine, it will likely come as no surprise that his earlier work, The Office, would make this list. The Office portrays the everyday lives of office employees with a documentary-like feel. The plot may sound mundane, but that is part of the charm of the show. The American version of the show follows the staff of the fictional Dunder Mifflin Paper Company in Scranton, Pennsylvania. 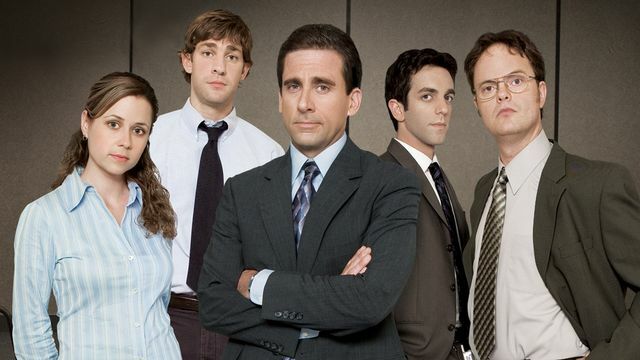 The original cast of the show includes Michael Scott, the office manager (played by Steve Carell), who thinks he is the cool boss who everyone loves, but in reality often makes people uncomfortable with his strange and often inappropriate sense of humor. Jim Halpert is the office prankster, and seen as a fairly cool, laid-back guy. Pam Beesly is the somewhat timid office receptionist, who Jim has a crush on. Dwight Schrute is a strange and uptight employee who doesn’t get along with Jim. Ryan Howard is a temp who has his first day on the first episode of the show. This show spans 9 seasons and its main cast grows and changes over the season, including many notable stars. If you’re looking for some laughs after finishing Brooklyn Nine-Nine, The Office is a good show to check out next. Chuck is an action/comedy series about a geeky guy named Chuck who works at a store doing computer repairs. His ordinary life is turned upside down after receiving an email from an old friend that somehow puts some highly classified software into Chuck’s brain. Chuck is found and then recruited by the CIA, who needs the information that is now only stored in Chuck’s brain. He is able to access this database through flashes of information that can be triggered by a variety of circumstances. His brain is also now a target for criminals all over the world, so his life has become infinitely more complicated as he tries to evade them. Chuck also has to try to figure out how to keep his new job as a spy a secret from the people he cares about in order to protect them. The cast is a quirky collection of Chuck’s family, friends, coworkers, and CIA agents. The humor is quite light and fun, and the subject matter is crime-related, making it a fun watch for people who enjoyed Brooklyn Nine-Nine. iZombie is a comedy/drama about a zombie named Liv who works in the coroner’s office and helps a detective solve crimes. Liv’s life is turned upside down when she becomes a zombie. She was on track to become a doctor, but when she suddenly needed to eat brains to survive (and wanted to eat all of her patients), she decided to take a job in the coroner’s office. Now she has an unlimited supply of brains, and doesn’t have to worry about wanting to kill anyone at work, since her patients are already dead. Liv’s boss, Ravi, finds out her secret and decides to try to study her condition and becomes a helpful ally and close friend. Liv discovers that when she eats a person’s brain, she can see flashes of their memories, often from close to the time of their death. This leads to her helping Detective Clive Babineaux solve crimes. 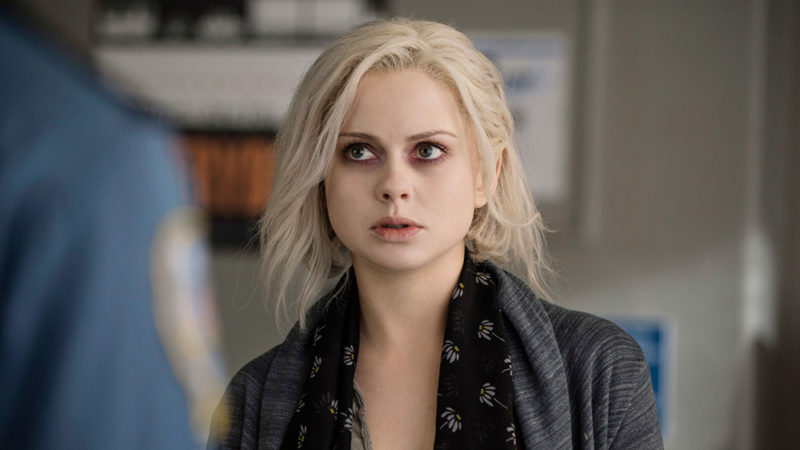 Like Brooklyn Nine-Nine, iZombie is packed with crime-solving fun and a lot of humor. The cast is great, the writing is witty, and the plot is far from dull. The Good Place is another feel-good comedy with a great plot and a talented cast. Like Brooklyn-Nine Nine, it was created by Michael Schur. Schur has become known for writing/creating witty comedies with diverse, well-developed characters and highly talented cast members. The Good Place is no exception to that rule. Kristen Bell stars as Eleanor Shellstrop, who has died and gone to The Good Place as a result of a case of mistaken identity. She was brought there in place of another Eleanor Shellstrop who spent her life serving others. She then has to deal with being in the Good Place despite having lived a life as a not so good person. We follow Eleanor through her afterlife and meet the other people who are in The Good Place, and see the many strange and humorous situations that ensue as a result of Eleanor’s placement in The Good Place. Some other main characters of note include Michael, an immortal architect who has created this particular Good Place, Chidi, a former ethics professor who has been matched with Eleanor as her soulmate, Tahani, a former socialite and philanthropist, Jianyu, a former Buddhist monk, and Janet, an artificial intelligence there to help them. 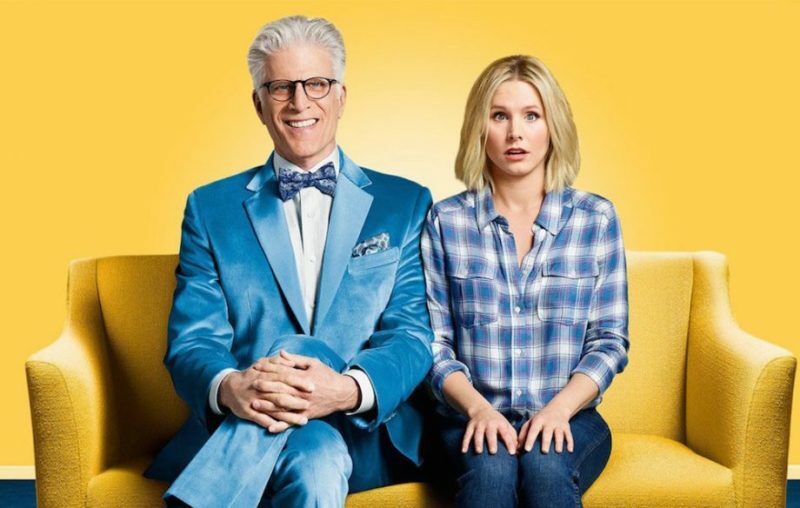 Quirky, fun, and full of twists and turns, The Good Place is a show that guarantees lots of laughter and entertainment. Parks and Recreation is a comedy series about the Parks Department of Pawnee, Indiana. The show revolves around Leslie Knope (played by Amy Poehler), who is the deputy director of the department, and whose character is incredibly funny and endearing. Her colleagues are a hilarious, eclectic bunch with varying levels of enthusiasm for their jobs. If watching a show about the government parks programs doesn’t sound like fun to you… that’s understandable. Despite the somewhat unusual subject matter (or perhaps in part because of it), this show will have you in stitches as you get invested in the characters and their lives. The humor of Parks and Recreation is along the same lines as that of Brooklyn Nine-Nine. It is witty, a bit sarcastic, and just plain fun. The characters each have their own unique way of adding humor to the show, and the cast is superb. They also have many guest appearances over the 7 seasons, with many familiar faces coming to the show, often for recurring roles. 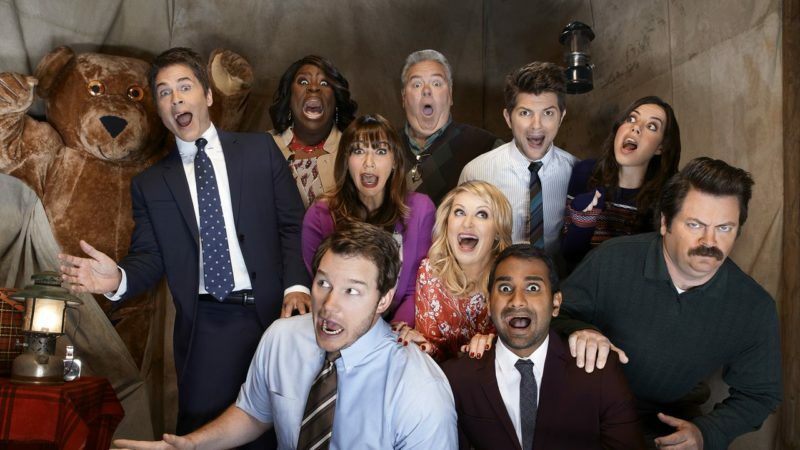 If you loved Brooklyn Nine-Nine, Parks and Recreation is a great show to watch next.